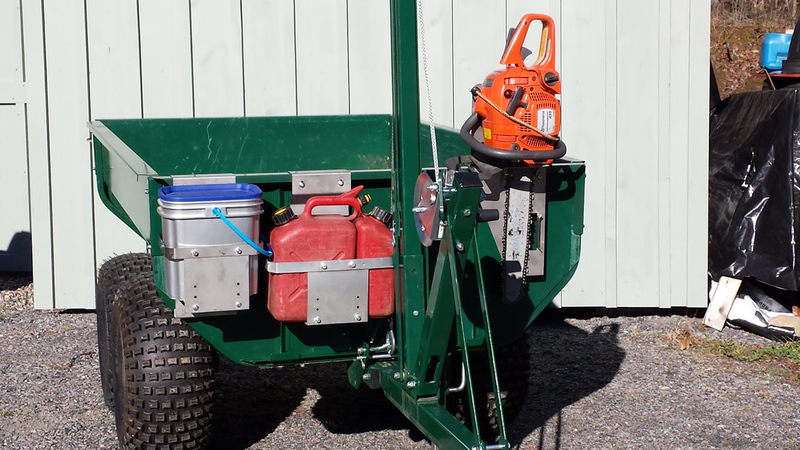 The fuel can holder also attaches anywhere along the trailer lip. It is adjustable in height and width to accommodate a variety of small fuel and oil containers. Can also be used to hold some seal-able containers (kitty litter pail) for carrying tools, first aid kit, emergency supplies etc.